Publicity chair and technical program committee member: 11th ISPA, Melbourne, Australia, July 16-18, 2013. Steering committee member: 3rd ESPAS at 9th HiPEAC, Vienna, Austria, January 20-22, 2014. Exhibitor for Oak Ridge National Laboratory. 24th ACM/IEEE International Conference on High Performance Computing, Networking, Storage and Analysis (SC) 2011. Seattle, WA, USA, November 12-18, 2011. Exhibitor for Oak Ridge National Laboratory. 23rd ACM/IEEE International Conference on High Performance Computing, Networking, Storage and Analysis (SC) 2010. New Orleans, LA, USA, November 13-19, 2010. Exhibitor for Oak Ridge National Laboratory. 22nd ACM/IEEE International Conference on High Performance Computing, Networking, Storage and Analysis (SC) 2009. Portland, OR, USA, November 14-20, 2009. Exhibitor for Oak Ridge National Laboratory. 21st ACM/IEEE International Conference on High Performance Computing, Networking, Storage and Analysis (SC) 2008. Austin, TX, USA, November 15-21, 2008. Exhibitor for Oak Ridge National Laboratory. 20th ACM/IEEE International Conference on High Performance Computing, Networking, Storage and Analysis (SC) 2007. Reno, NV, USA, November 10-16, 2007. Exhibitor for Oak Ridge National Laboratory. 19th ACM/IEEE International Conference on High Performance Computing, Networking, Storage and Analysis (SC) 2006. Tampa, FL, USA, November 11-17, 2006. Exhibitor for Oak Ridge National Laboratory. 18th ACM/IEEE International Conference on High Performance Computing, Networking, Storage and Analysis (SC) 2005. Seattle, WA, USA, November 12-18, 2005. Exhibitor for Oak Ridge National Laboratory. 17th ACM/IEEE International Conference on High Performance Computing, Networking and Storage (SC) 2004. Pittsburgh, PA, USA, November 6-12, 2004. Exhibitor for Oak Ridge National Laboratory. 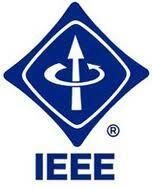 16th ACM/IEEE International Conference on High Performance Computing and Networking (SC) 2003. Phoenix, AZ, USA, November 15-21, 2003. Exhibitor for Oak Ridge National Laboratory. 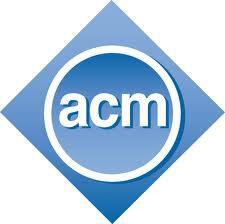 15th ACM/IEEE International Conference on High Performance Networking and Computing (SC) 2002, Baltimore, MD, USA, November 16-22. 2002. Exhibitor for Oak Ridge National Laboratory. 14th ACM/IEEE International Conference on Supercomputing (SC) 2001. Denver, CO, USA, November 10-16, 2001.